Feb 3, 2016 › Categories: Got Beer? Hipsters today don’t know how good they have it. Let’s set the Wayback Machine to about, oh, say early 2000s. I have clear memories of perusing the selections at the local packy, and while at the time it seemed a bountiful bouquet of beer, in truth those were dark times. Killian’s was my drink of choice in college. 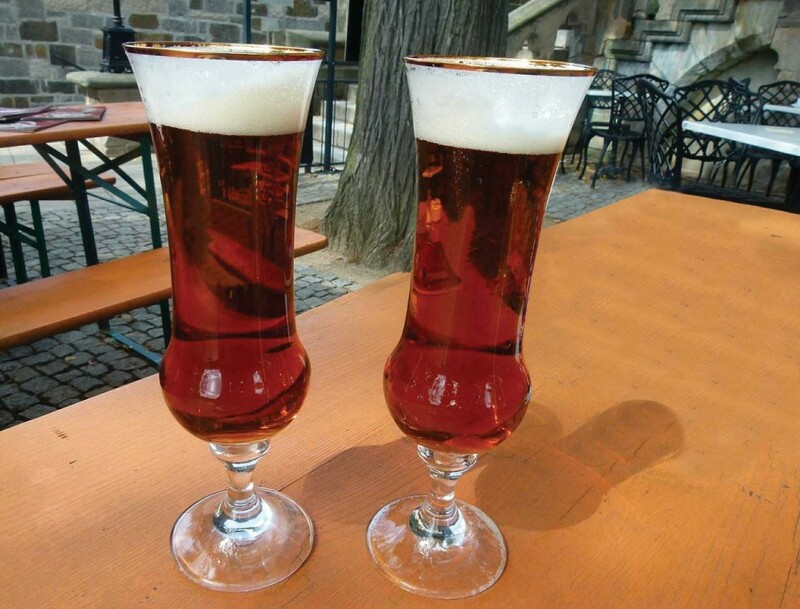 It was a fairly smooth, inexpensive red lager that stood head and shoulders over the shelves of pilsners. My buddy was a devout Rolling Rock drinker. (To give you a sense of the times, Killian’s and Rolling Rock had not yet been taken over by Coors and AB, respectively.) I remember when Killian’s, Bass Ale, Guinness, Samuel Adams and Newport Storm were the entirety of the ‘craft beer’ selection. If you were lucky you’d spy a Harpoon or Long Trail, maybe Magic Hat would be brought in for a few discerning customers, but by and large, the already-established breweries were the only source of good social beverages. Just try to picture it. A time when there were no vanilla porters, when IPAs all tasted the same, when the most adventurous beer you could find was a spiced winter lager, and they usually weren’t very good. We languished in mediocrity for so long that a craft beer explosion was inevitable. After all, other parts of the country had already begun their craft beer revolution. The seeds had already been planted by the time I’d reached drinking age. Besides Newport Storm, there were the much beloved brewpubs like Trinity and Union Station in Providence or Coddington down in Newport. A brew-on-premises operation known as Brewer’s Heaven, now long since closed and sadly missed, provided a place for the homebrewing crowd to come together and begin cultivating the next generation of craft brewers. Homebrew shops crept up here and there, offering supplies and advice to aspiring homebrewers. In little places like this, the revolution was planned. Over the next 15 years, craft beer bars would serve rare, interesting beers from Germany, England, Belgium and Ireland, and beg distributors to bring in more exotic fare. Places like Track 84, Mews Tavern and even the original Doherty’s led the charge. Back then, we had to go 15 miles in the snow, uphill, both ways to get our hands on a bottle or glass of Delerium Tremens. Look how far we’ve come since then. It’s taken a long time to get here. And remember the next time you pick up a good craft beer and find it’s not up to your personal standards, that people fought long and hard for you to even have the chance to dislike that beer. Criticize all you like, but remember: 15 years ago, your choices were between Heineken and St. Pauli Girl. Good beer isn’t just a vessel for alcohol. It’s a culture of defiance, experimentation and a free spirit looking for expression. There will always be a market for cheap intoxication, but that’s not our market. The recent trend toward hyper-local goods promises a steady niche market. Who wouldn’t want to support the neighbor who makes beer? There are some potential bumps in the road ahead, but given what craft beer has overcome just to get where we are, I’m confident in the future.